Pokécollective was started in December 2018 — we are brand new and building from the ground up! I’ve been a passionate Pokémon collector since 2008 and it has been a 10-year-long dream to create a huge, fully comprehensive online guide to Pokémon merchandise and Pokémon collecting. Here you can find not only the latest Pokémon news from Japan, but also tips and tutorials for building your collection, and a detailed news archive for older merchandise you may have missed out on. Our Upcoming Merchandise by Month schedule is updated regularly and includes other known merchandise as well. 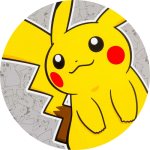 Merchandise news is generally posted on the Pokécollective Twitter first (follow here!) followed up with more details posted on the main site. There is a lot of work to do ahead but I am looking forward to every minute. Thank you for stopping by and I hope you’ll be back around to watch us grow!